A family session with Laura Ann Photography is ideal for this exact type of story, so I knew it was going to be great. I also knew what I was doing for this mom and her kids. I was giving them the gift of time. Through my work, I am able to give families time to slow down during the hustle and bustle to just play and be with her kids for a few hours. How many of us would give anything for just a few extra hours in our day? I know I would! I feel the guilt every time I tell my own children that I can't do something with them because I don't have time for it right then. What if you could freeze time? With one click the camera shutter, a moment can be frozen for us forever. (Perhaps, not forever, but that is a totally separate blog post!) I see this all the time. We all do. Posts come up in our Facebook feed from 5 years ago, 3 years ago, etc. Our friends and family sharing their "old" images and we all comment on how we remember that moment or we remember when their kids were that little. It is truly something special to be able to document our lives and tell our stories. Our life stories are important. The stories are fluid and always changing in some way. Sometimes, even within seconds of taking a photo, something can change. For example, the day after this session, the family went away on a trip to a cabin. They had a great time with their extended family but unfortunately one of their child's loveys was misplaced and never made it home. I didn't know this until a couple weeks after the session when I shared their slideshow and images with them. They were all so sad when they told me, but they had hope that he could be found. I was heartbroken when I heard this (I have kids with loveys, too. I totally get it.) At the same time I was relieved that they would have this next image from our session. Fast forward about a month and it turns out that the bear was found! The owners of the cabin that the family had rented, found him and returned him to the family. (Shout out to Great Outdoor Rentals - in Gatlinburg, TN !!) When the mother told me this news, I just about jumped for joy. Even though I was so glad I had gotten this image for them, I was thrilled that bear was back - what a relief! Spending the morning documenting these kids and their mom was just plain fun! When I say that it was a blast, it's an understatement. These kiddos are super sweet, well-mannered and interesting conversationalists! (Although my photography style is to be a "fly on the wall", kids can't help but talk to me.) And their mother - she's just awesome, sweet, soft-spoken and exudes love towards her littles. Scroll through for some highlights from their in-home documentary family session. One final thought on "time". The result of this session is a lifetime of being able to go back in "time". The time that is spent on a family session with Laura Ann Photography is fun, it's easy (just be you and do what you always do), and it's value is undeniably priceless. To be able to gather around an album years from now and see your life in images - there is nothing that compares to that. 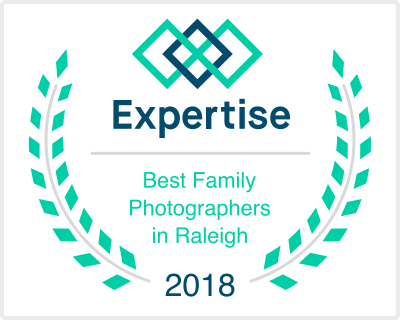 Don't waste any "time", contact Laura today to schedule your family session in the Cary, Raleigh, Durham, Chapel Hill, NC area! A Fresh 48 photography session is a fantastic way to remember the first few days of your child's life with authentic, candid moments documented for a lifetime. The first few days of a new baby's life are filled with so many new things for you and the baby - new love, new responsibilities, new equipment, new routines, new sleeping habits, etc. One way to take the pressure off of new parents is to pass on the photography to a professional. This way parents can be present with their new baby and the photos will be there for them when they come out of the baby "fog" that comes with little to no sleep. 1. Right after having a new baby, life is a blur of moments. So many things happen, so many people are in and out of your room, so many little checks of mom and baby by nurses and doctors, so many little diapers to change, so many feedings and you are somehow also supposed to get some rest! I've had three children and there are very few clear memories from their first few days of life. 2. In those sleepless days and nights, your baby is so fresh and new. He smells new, his skin is soft and sometimes extra hairy, and his hair little head is warmed by a sweet hat (most likely hand knit by a hospital volunteer). What better way to document that than with real, candid moments captured with great photography (& not your smartphone - which you may not even be able to find amongst all that new baby stuff!) This "super" newness does not last long and should be photographed as soon as possible. 3. You need to be present in the images with your child. Scheduling a Fresh 48 gives you a reason or excuse to take a shower in the hospital (but you don't have to!). It gives you a reason to bring a nice nightgown to wear and to brush your hair (again, only if you want to!). If you have older children who are coming in to meet their new sibling, hiring a professional photographer allows both parents to be present with all of their children while they say their first "hellos". These are moments that you will all cherish as everyone ages. Keep reading and scroll through to the end to read about a fourth reason to schedule your Fresh 48 with Laura Ann Photography. 4. The final product of your Fresh 48 session includes a beautiful, keepsake book that showcases your session images and also holds your usb drive with your custom slideshow and image files. The work is already done for you. You don't have to think about it at all. Many new (& seasoned) moms have grand plans to scrapbook or create digital books that will show off their images to their friends and families. Then, life happens, people get busy (& tired) and those images tend to sit unopened on desktops and usb drives. Let Laura do all the work for you and you will have the memories to last a lifetime! Contact Laura Ann Photography in the Cary, Raleigh, Durham, NC area to schedule your Fresh 48 or Newborn Photography Session today. A typical Saturday morning at our house involves pancakes, pajamas, and play. Play can be anything from reading in bed to watching cartoons to Legos to playing with American Girl dolls to iPods to biking and rollerblading to swinging on the playset to ... you get the idea. During the fall and spring often it involves hectic chaos as we rush out to a soccer game (or three!). For the most part, though, it is the most relaxed morning of our week and I LOVE it! During the planning process for photography sessions, a question that I always ask my clients is, "What does a typical Saturday morning look like in your home?" The lull in the hustle and bustle of school and/or workday mornings is welcomed by many of us. I find that many families have routines and special family activities that they do on those long awaited, coveted weekend mornings. It just so happens that it is a great time to do an in-home documentary family photography session because of these special family routines. These are the times that we will look back at and remember as being special and the most memorable. The family photography session that is featured in today's blog was a typical Saturday morning last spring. Take a look and see their "Saturday Morning Session". Robin Kegerise and I have been acquaintances for some time and I can say, in all honesty, the following statements are true about her: 1. She does actually plan out her meals on the chart in her kitchen with her kids. 2. She believes there is room in an organized life for some messiness. (Take a look back at her daughter's room - kids will be kids, won't they?!?) 3. She is SUPER organized and 4. Her family REALLY is as cute and fun as they look! Robin is opening registration for her first group coaching program on August 26th. It's called "Intentional Fall: 8 Weeks of Purposeful Planning and Action." If you need help in planning and organizing your thriving family, definitely head over to her site and check it out at http://robinkegerise.com. I'll end this post with a question for you: "What does a typical Saturday morning look like for your family?" I'd love to document your everyday moments with your children. There's never been a better time to "remember now". Contact Laura today to schedule your session in the Cary, Raleigh, Durham, NC area.